There’s room for competition at the top. NEW YORK – Britain, I believe, had the best of all possible deals with the European Union, being a member of the common market without belonging to the euro and having secured a number of other opt-outs from EU rules. And yet that was not enough to stop the United Kingdom’s electorate from voting to leave. Why? The answer could be seen in opinion polls in the months leading up to the “Brexit” referendum. The European migration crisis and the Brexit debate fed on each other. The “Leave” campaign exploited the deteriorating refugee situation – symbolized by frightening images of thousands of asylum-seekers concentrating in Calais, desperate to enter Britain by any means necessary – to stoke fear of “uncontrolled” immigration from other EU member states. And the European authorities delayed important decisions on refugee policy in order to avoid a negative effect on the British referendum vote, thereby perpetuating scenes of chaos like the one in Calais. German Chancellor Angela Merkel’s decision to open her country’s doors wide to refugees was an inspiring gesture, but it was not properly thought out, because it ignored the pull factor. A sudden influx of asylum-seekers disrupted people in their everyday lives across the EU. The lack of adequate controls, moreover, created panic, affecting everyone: the local population, the authorities in charge of public safety, and the refugees themselves. It has also paved the way for the rapid rise of xenophobic anti-European parties – such as the UK Independence Party, which spearheaded the Leave campaign – as national governments and European institutions seem incapable of handling the crisis. Moreover, the UK itself may not survive. Scotland, which voted overwhelmingly to remain in the EU, can be expected to make another attempt to gain its independence, and some officials in Northern Ireland, where voters also backed Remain, have already called for unification with the Republic of Ireland. The EU’s response to Brexit could well prove to be another pitfall. European leaders, eager to deter other member states from following suit, may be in no mood to offer the UK terms – particularly concerning access to Europe’s single market – that would soften the pain of leaving. With the EU accounting for half of British trade turnover, the impact on exporters could be devastating (despite a more competitive exchange rate). And, with financial institutions relocating their operations and staff to eurozone hubs in the coming years, the City of London (and London’s housing market) will not be spared the pain. None of this bodes well for a serious program of eurozone reform, which would have to include a genuine banking union, a limited fiscal union, and much stronger mechanisms of democratic accountability. And time is not on Europe’s side, as external pressures from the likes of Turkey and Russia – both of which are exploiting the discord to their advantage – compound Europe’s internal political strife. That is where we are today. All of Europe, including Britain, would suffer from the loss of the common market and the loss of common values that the EU was designed to protect. Yet the EU truly has broken down and ceased to satisfy its citizens’ needs and aspirations. It is heading for a disorderly disintegration that will leave Europe worse off than where it would have been had the EU not been brought into existence. June 25, 2016 The pro-EU elite never imagined “leave” would win. The reporters of leading British media were talking to their European and American counterparts. The politicians were doing the same. And the financial community is on the phone daily with colleagues around the world. The challenge that was posed in the U.K. referendum is present in many countries around the world, albeit in different forms. What has become universal is the dismissive attitudes of the elite to their challengers. It is difficult for the elite to take seriously that the less educated, the less sophisticated and the less successful would take control of the situation. The French Bourbons and the Russian Romanovs had similar contempt for the crowds in the streets. They dismissed their lack of understanding and inability to act – right to the moment they burst into the palaces. Not understanding their own isolation and insularity; not grasping the different world view of “leave” supporters or that they couldn’t care less if the financial institutions of the City moved to Frankfurt; not grasping the contempt in which they were held by so many, the elite believed that “leave” could not win. Hence, they were surprised in spite of the fact that others, including myself in my book “Flashpoints: The Coming Crisis in Europe,” had noted all of these trends. In the end, the financial decline on Friday resulted from the lack of imagination of the elite. And it is that lack of imagination that led them to believe that the current situation could continue. That lack of imagination, the fact that the elite had no idea of what was happening beyond their circle of acquaintances, is a far greater crisis in the West than whether Britain is in the EU or even if the EU survives. We are living in a social divide so deep that serious people of good will and a certain class have never met anyone who wants to leave the EU or who supports blocking Muslim immigration or perhaps even who will vote for Donald Trump. A democratic society cannot survive this divide. It occurred in the United States in the Great Depression, but was smashed by World War II when the young soldiers of all classes discovered that their lives depended on each other and social class meant nothing when the artillery opened up. The moderation of the post-war period had much to do with this experience. Of course, World War II was unique and hardly the solution to a social problem. Nevertheless, something dramatic needs to happen. It will, as the situation becomes increasingly untenable. In the end, the palace doors may be kicked in. Hopefully, it will be done more politely and without the viciousness of the falls of the Bourbons and Romanovs. ** Is the US Army Ready for a Shocking Technological Revolution in Land Warfare? The United States Army foresees a revolution in ground combat unfolding over the next several decades, but the exact nature of that fundamental change is unclear. Indeed, the Army’s top leadership compares the coming revolution to the introduction of the stirrup, rifled barrels or even mechanized warfare. But this revolution will be a change in the technological character of warfare; the “immutable” nature of war continues to remain a constant as it has throughout human history. Meanwhile, for the immediate future, the U.S. Army is ramping up its training to defeat high-end threats that have not been seen since the end of the Cold War. Indeed, especially for the U.S. Army—which bore the brunt of the last 15 years of counterinsurgency war—the new era of renewed great power competition is proving to be a challenge. Milley said there has been an entire generation of officers and noncommissioned officers who have not trained for a full-scale combined-arms maneuver war. Indeed, Milley cited senior armor and artillery officers who have participated in less than one-fifth of the gunnery exercises than their pre-9/11 predecessors had. In the air, Milley spoke of AH-64 Apache gunship crews who have only flown two-ship operations and have never participated in battalion-sized deep attacks or other complex rotary-wing tactics. This graphic contains two maps of the United Kingdom. On the left side are the results of a YouGov poll that identified different parts of the U.K. as more or less Euroskeptic. On the right side are the official results of Britain’s vote to leave the European Union. The YouGov polls, as well as numerous other polls, failed to predict accurately what was going to happen in the referendum. The polls prior to the vote were not as wrong as the polls for the last British general election, but there were many areas in the U.K. where the strength of the “leave” vote was underestimated. The first YouGov poll released after polls closed predicted a 52 percent to 48 percent victory for “remain” – and the result was almost the precise opposite. At the beginning of the night, Newcastle upon Tyne turned out to be a far more even heat than expected (the “leave” camp garnered a higher percent than anticipated), and Sunderland turned out stronger for “leave” than expected. Those were not flashes in the pan but actual discrepancies between polling and reality. 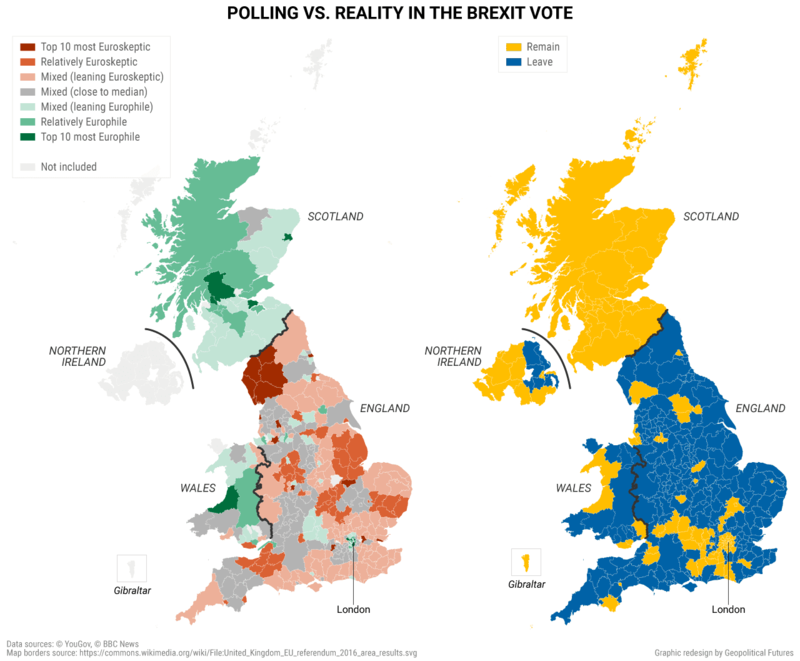 The map on the left doesn’t give you a sense that Wales would vote overall for “leave.” Northern Ireland looks very mixed, whereas in the majority voted for “remain.” And polls missed the strength of the “leave” sentiment in the center of England. The increasing inaccuracy of polling is a phenomenon George Friedman has pointed out before and that we have written on extensively. Also, Scotland, Northern Ireland and London all voted to remain. Wales and much of the rest of England voted predominantly to leave. This fits with the increase in nationalism across Europe, and brings into relief how nationalism is not just something that affects nation-states but also everything from multilateral international institutions to united kingdoms. In George's latest book, Flashpoints: The Emerging Crisis in Europe, he predicted that the European Union would eventually fragment. Brexit is just the first step. In the coming weeks, we will be analyzing the government maneuvers on the Continent that will have the largest impact on the future of the U.K. and the rest of the world. This historic event is just the start of a major change in Europe. One that will not only impact the Peninsula, but will send shockwaves throughout the globe. The south-westerlies hit the Kerala coast in June, but it’s only about a fortnight later that Delhiites begin to spot dark clouds furtively signing autographs over India Gate. 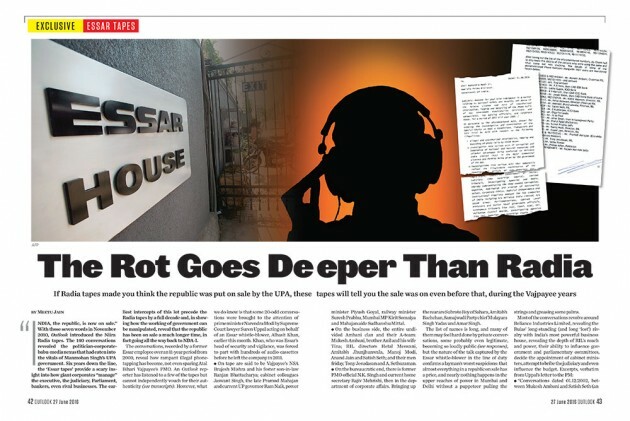 Monsoon 2016 is still en route, but Lutyens’ Delhi—the central part of the capital that is scorned by those who can’t fathom or stand its intrigues—is already in the throes of a storm whipped up by the ‘Essar tapes’. So far, there has been ple­nty of thunder and lightning, but very little rain; but nearly everyone’s ducking and there’s plenty of perspiration. India’s diplomacy and foreign policy has suffered a humiliating defeat at Seoul. Imagine a train accelerating along an S-curve. That is what Indian diplomacy has done. Now, close your eyes and don’t even look at the wreckage as the news comes from the plenary of the Nuclear Suppliers Group meeting in Seoul. India’s diplomacy and foreign policy has suffered a humiliating defeat. It was plain to see all along for anyone who is not myopic – and, most certainly, at least from June 9 when Prime Minister Narendra Modi dialled up the Kremlin number – how the denouement of India’s high voltage diplomacy on NSG membership would turn out to be. The best spin one can give is that Modi’s aides led him up the garden path and left him in a world of make-believe that India’s membership of the Nuclear Suppliers Group was just round the corner. Modi probably found the prospect irresistible that he would be claiming credit in the Indian public opinion for an incredible diplomatic achievement. To what extent did Modi comprehend the complex issues involved in India’s NSG membership question? We will never get to know. Despite being a shrewd politician who plans balance sheets with great anticipation, he probably chose to suspend disbelief and allowed himself to be misled by his aides into believing that it boiled down to a bilateral issue between India and China. What gave Modi such confidence to estimate that the Chinese leadership too conducts personalised diplomacy? We do not know. Suffice it to say, the only plausible explanation is that his aides convinced him that the “tough” policies his government has been pursuing toward China since Xi’s visit in September 2014 would have by now so nicely softened up Beijing that it’d be in a mood to placate India. 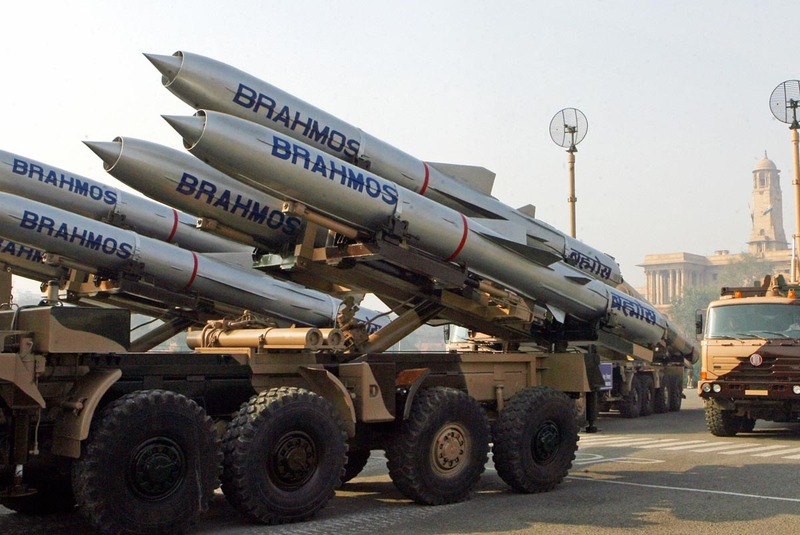 Threat to supply BrahMos missiles to Vietnam. In a new Contingency Planning Memorandum produced by the Council on Foreign Relations' Center for Preventive Action, Seth Jones, director of the International Security and Defense Policy Center at the RAND Corporation, considers what an unraveling of the political and security situation over the next 18 months would mean for Afghanistan and what can be done to prevent it. A collapse of Afghanistan's national unity government—already plagued by corruption, slow economic growth, and poor governance—could embolden the Taliban to make advances on major urban areas, which in turn would further undermine support for the government. Sustain U.S. support for the Afghan National Defense and Security Forces. “The United States should commit to providing at least $3.8 billion per year for the next five years” to sustain the Ministry of Defense's and Interior's costs. Address economic grievances that could trigger violent unrest. U.S. diplomats, working with the World Bank and the International Monetary Fund, could focus on alleviating poor agricultural harvests, rising unemployment, and energy shortages, as well as other issues that exacerbate public opposition. The air-launched Brahmos supersonic cruise missile was recently flight tested for the first time off a Su-30 MKI platform at the Nasik air base. [A short video of the Brahmos-armed Su-30 MKI taxing for take off onhttps://twitter.com/livefist/status/746585004784816129%5D. With India’s formal entry into the Missile Technology Control Regime, the last excuse for delaying the immediate transfer/sale of quantities of this missile to Vietnam, Indonesia, Philippines and Malaysia who have strongly expressed an interest in having this weapon in their arsenals, is now gone. Without further ado or loss of time, defence minister Manohar Parrikar should order transactions for the Brahmos to get underway right away. Between the land-based (in coastal batteries) and the air-launched versions of this missile in the Vietnamese, Indonesian, Philippine and Malayasian land and air orders of battle, the Chinese armed forces can be stopped dead in their tracks. Vietnam Air Force has Su-30MKs in its fleet whose flight control computers can be readily configured — as has been done with the IAF Su-30MKIs — to fire the Brahmos. Perhaps, Moscow held off permission for dealing the Brahmos to our friends in Southeast Asia until recently because Russia was awaiting India’s entry into MTCR and the removal of all legal hurdles. With the barriers now removed, Parrikar’s MOD better get going. There’s no time to be lost because an exasperated Vietnam has already complained to New Delhi about its tardiness regarding the supersonic missile sale, with Hanoi actually giving an ultimatum of end-2016 by which time it expects a contract to be signed and for the training and other support aspects of the Brahmos program to be initiated. India’s formal membership of the Missile Technology Control Regime is being hailed as a breakthrough, but the implications may be somewhat less dramatic. In the 18 years since its nuclear tests, India’s pursuit of nuclear legitimacy has taken several forms. Successive governments have renounced further tests, promulgated defensive nuclear doctrines and accepted international supervision. These and similar steps have not been cost-free. They have been taken – for better or worse – not only to burnish a claim to responsible global leadership, but also to lubricate the inward flow of technology. As part of this effort, India has placed particular emphasis on joining key export control regimes that, ironically, echo thetechnology denial that India faced and protested for decades. India now stands on the cusp of joining one of those groupings, the Missile Technology Control Regime (MTCR), as Devirupa Mitra explained on June 7. This has been a long road. In 2005, then Prime Minister Manmohan Singh promised India’s “harmonisation and adherence” to MTCR guidelines, as part of the US-India civil nuclear deal being negotiated at the time. By 2008, then President George W. Bush notified the US Congress that India had successfully done this. Formal membership, a decade on, is being hailed as a historic breakthrough. But the implications may be somewhat less dramatic. One often finds writers in New Delhi today professing to be “strategic experts”. But rarely does one come across a relatively young analyst being as thoughtful and erudite on questions of war, peace and national strategy, as Dr Srinath Raghavan. India’s War: The Making of Modern South Asia, 1939-1945 By: Srinath Raghavan Publisher: Allen Lane Price: Rs 699 Pages: 550His book India’s War—The Making of South Asia (1939-1945) is a comprehensive account of how a 2.5 million-strong Indian Army was raised, trained, equipped and deployed, to fight during the Second World War. This was the largest volunteer force in human history, raised to fight for a colonial power, against the forces of German Fascism and Japanese Imperialism. When the war ended, independent India inherited a disciplined army, with capable, battle-hardened officers and men. This army has served the country well, with loyalty, valour and distinction. This build-up of the Indian Army occurred when the country’s freedom fighters and political parties were divided on how they should respond to a call to war by Imperial Britain. Raghavan dwells on how the British astutely used fissures in the Indian polity to their advantage, with their classic ploy of “divide and rule”. The Congress agitations, led by Mahatma Gandhi, faced solid roadblocks, caused by Jinnah and a large number of rulers of the country’s 565 Princely States. Then, there was the determination of Netaji Subhas Bose to make common cause with the Axis Powers, Germany and Japan, to overthrow British Rule, much to the consternation of Mahatma Gandhi. Since its inception in 1956, the University Grants Commission (UGC) has been witness to a spectacular growth in higher education. The number of universities has multiplied 40 times over, and student enrolment has increased a hundred fold. But the UGC has also been a silent spectator to the languishing quality of education in many of these institutions. In this context, the T.S.R. 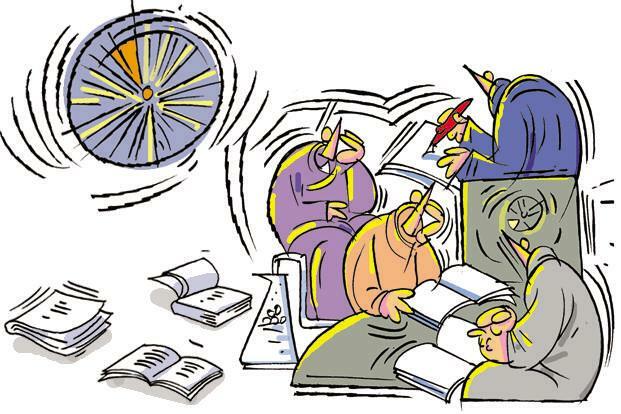 Subramanian committee’s recommendation in the National Education Policy, that the UGC Act should be allowed to lapse and replaced by a new National Higher Education Act, brings up an important question—has the UGC failed to evolve according to the changing dynamics of higher education, and fallen short of achieving its original mandate? The UGC is the central body for coordination, determination and maintenance of standards of university education in India. Though it can’t be blamed for all the problems with the higher education system, its decisions have an important bearing on the entire student population of the country. Therefore, when policies made by the UGC to keep pace with the changing dynamics of higher education are ill-considered, as well as lacking in research and consultation with stakeholders, there is reason to worry. The recent increase in teaching hours of the faculty and its subsequent cancellation, the implementation of the choice-based credit semester system in Delhi University, and the decision to discontinue UGC non-NET scholarship for MPhil and PhD students and its abandonment after protests, are all cases in point. CULTURE India Has A Choice: Do We Want Success Or Are We Happy Just Being Right? The essential philosophical and practical question we must answer is this: do we want success and victory or are we satisfied with righteousness, never mind if it leads to defeat? Indians, specially Hindus, have an enormous capacity to confuse themselves over everything, whether it is the despatch orders for Raghuram Rajan (a.k.a. Rexit), the opening up of foreign direct investment (FDI), or when dealing with Pakistan. You name it, we love breast-beating over it. We tie ourselves constantly in knots over good and evil, right and wrong, means and ends, dharma and adharma, forgetting basic lessons from the Rig Veda and the Bhagavad Gita. For me, the essence of the Rig Veda is its gung-ho spirit, pursuit of success and victory over enemies. Almost all Rig Vedic hymns seek the help of gods to achieve success and victory. This is the spirit we lost during the Upanishadic period of deeper contemplation and metaphysical ruminations. Even though there is doubt over when the Gita was composed, I suspect that it came towards the end of the Upanishadic period, when we had become effete and seized by self-doubt. The essence of the Gita – in my view at least - is that you cannot achieve peace without the ability and willingness to fight. When Arjuna was trying to weasel his way out of the Kurukshetra war, Sri Krishna stops him. He also tells us that when you do have to fight, give it all you have got. You must focus on winning, and not just fighting purely by the rules. If ethics leads you to defeat, or if a superior enemy has set the rules where you may fail, you must break the rules. This was the logic of Sri Krishna telling Arjuna to kill Karna when his chariot was stuck and the latter couldn’t fight back. It may sound like an ethical deficit in Sri Krishna, especially to our modern sensibilities, but once you are in a war, your dharma is to win. You can do the penance for it later. Adharma would have won if you had lost the war. (FPRI) — For almost two decades, Chinese strategists have worried about what they regard as the geopolitical encirclement of China. At various times, they have attributed that encirclement to the United States, then India, and most recently Japan. No doubt last week’s large-scale naval exercise in the western Pacific did little to dispel their concerns. For the first time warships from India, Japan, and the United States jointly conducted anti-air and anti-submarine drills in the Philippine Sea, an area directly adjacent to the Chinese-claimed waters of the East and South China Seas. Events over the past month likely added to China’s concerns. Last Friday, Indian Prime Minister Narendra Modi visited Bangkok in part to expand his country’s defense and maritime security cooperation with Thailand. A week earlier, he met with President Barack Obama at the White House, highlighting India’s closer ties with the United States. At a summit in late May, the United States and Japan, along with other Group of Seven countries, openly voiced their concern over China’s maritime actions. Days before the summit, Obama flew to Hanoi where he lifted the long-standing U.S. arms embargo against Vietnam, one of China’s South China Sea antagonists. Then after the summit, Japanese Prime Minister Shinzō Abe welcomed a Vietnamese delegation to discuss how they could enhance their military cooperation. Certainly Chinese concerns over encirclement are not new. During the Cold War, China worried about the Soviet Union pursuing a similar geopolitical strategy. Even earlier, the Chinese Communist Party faced several all too real “encirclement campaigns” during China’s long civil war. Those experiences could have left an imprint may have left their imprint on China’s strategic thinking ever since. What is clear is that Asia-Pacific countries have begun to prepare for what could be an era of heightened tensions. Such hedging has recently accelerated, as Chinese behavior in the East China Sea, South China Sea, and on its border with India has grown increasingly muscular. The United States has pursued its “pivot” or “rebalance” toward Asia, which shifted the bulk of American naval might to the Pacific. India and Japan have boosted their diplomatic and economic engagement in Southeast Asia and strengthened their military postures. Other countries have begun to do the same. As Australia’s 2016 defense white paper warned, “competing claims for territory and natural resources [in the region]… could undermine stability.” But does such hedging constitute an encirclement of China? The United Kingdom is likely to need a new name after yesterday’s shocking vote by the British people to leave the European Union. Scottish leaders have made clear for some time that they were likely to hold a second referendum on independence should their erstwhile countrymen vote to leave the EU, and the equivalent of the blue people‘s prime minister has already declared her intention to leave the UK behind and reach across the Channel to those foreign types. Stark. Clear. And I would argue, an intelligent decision by the Scots. Full disclosure: my mother is a Campbell and I have many Scottish and English cousins. Many of my maternal relatives have served in Her Majesty’s armed forces throughout the old colonies and during the two World Wars. If my gene pool were an indicator of my sentiments, I’d be a huge supporter of the United Kingdom and its people and the so-called Special Relationship. Sadly, as an analyst looking at the new Kingdom of Wessex, or whatever we’ll call it after Scotland leaves, I see little to be gained by giving England, Wales and Northern Ireland much, except in direct return for something, such as bases, diplomatic support and the like. The intelligence relationship will doubtless continue to be fruitful, since Britain remains more adept at human intelligence. Combine that with their unique access to many former colonies and the enormous amounts of data from GCHQ (Government Communications Headquarters), and the rump of Britain’s “cooperation” with the United States dating from World War II will remain tasty and useful. Indians are unusually preoccupied with the events unfolding at a small yet important meeting in Seoul: the Nuclear Suppliers Group plenary meeting. Up for discussion will be the membership process for countries not signatories to the Non-Proliferation Treaty. China insists that this agenda item does not focus in India’s application but considers the establishment of a clear set of guidelines for all future applicants – Beijing’s code for its client, Pakistan. India has been trying to gain admission to the NSG ever since the historic Indo-US nuclear deal to gain access to nuclear material, equipment, know-how, and technology for use in its civilian nuclear energy programme. Ironically, the nuclear cartel was set up in November 1975 in response to India’s peaceful nuclear explosion a year and a half earlier. Yet the agreement with the United States on nuclear commerce ended four decades of India’s pariah status and brought the country in from the nuclear cold. The NSG waiver for India in 2008 allowed the South Asian country to buy nuclear reactors and uranium from the international market but still kept several dual-use technologies out of reach. Delhi hopes that membership to the group will allow it a role in global nuclear governance and perhaps even the latest in enrichment and reprocessing technology that could be very useful for its fast breeder reactor programme. There are several different approaches toward countering online radicalization. Broadly stated, one approach stresses directly countering extremist narratives, for example, by engaging in confrontations on social media. In contrast, others favor promoting positive alternative narratives for those vulnerable to extremist propaganda. A third approach takes a long-term view toward fostering digital literacy and critical thinking among youth. Each approach has its merits, but it remains unclear whether any single approach, or even a combination of all three, will be sufficient to guide a comprehensive online counter-radicalization strategy. Data mining software used by both US intelligence agencies and large corporations just got an upgrade. Franklin, Tenn.-based Digital Reasoning — a cognitive computing developer that has contracts with the Departments of Defense and Homeland Security, as well as the U.S. intelligence community and several allied governments — has released a new version of its software, expanding the big data analytics capabilities of several agencies. The name of the new platform is Synthesys 4. It adds a suite of data aggregation, correlation and organization tools, among other things. The upgraded, “lighter” version will also be easier to install, requires less memory and is more user friendly, the firm claims. Company executives expect Synthesys 4 to be more widely employed by systems integrators, like Booz Allen Hamilton, than previous versions. Palantir Technologies, perhaps the most recognizable name in big data analytics, is a direct competitor to Digital Reasoning in the federal market. Digital Reasoning is a portfolio company of In-Q-Tel, the CIA’s venture capital investment arm. Broadly, In-Q-Tel invests in innovative software and hardware companies that in-turn typically sell products to intelligence agencies and the U.S. defense sector. The investing group is a significant force in the U.S. intelligence community and as a result, influences the technology procurement process to some extent. By using machine learning and neuro-linguistic programming, among other technologies, Digital Reasoning supports three general use cases within the federal government: threat intelligence, continuous monitoring and data enrichment. Continuous monitoring in this context relates to efforts at detecting possible threats posed by employees or contractors who have access to an organization’s network. The software, Hansen said, can predict and proactively respond to an individual’s attempted attack by determining a person’s baseline behavior and then detecting pattern anomalies over time. Clients of Digital Reasoning also include financial firms like Goldman Sachs and Credit Suisse, who must comply with SEC and FINRA rules that require them to supervise employee communications. BEIRUT (AP) — The U.S.-backed Syrian Democratic Forces pushed into the outskirts of the Islamic State group's stronghold of Manbij in northern Syria on Thursday and were advancing slowly to the center of town, an adviser to the predominantly Kurdish force and a monitoring group said. The town lies along the only IS supply line between the Turkish border and the extremist group's self-styled capital, Raqqa. If Manbij is captured, it will be the biggest strategic defeat for IS in Syria since July 2015, when it lost the border town of Tal Abyad. The Britain-based Syrian Observatory for Human Rights said fighting was taking place between IS fighters and the SDF on the southwestern edge of Manbij. Rami Abdurrahman, the director of the monitoring group which relies on a network of activists in Syria, said the SDF seized two squares on the western side of the city, then advanced toward a third square with air support from the U.S.-led coalition. An adviser to the SDF, Nasser Haj Mansour, said troops had moved into the town from its northern edge on Wednesday, close to grain silos, prompting clashes with IS militants. He confirmed that other troops entered Manbij from the west. While Saudi-Iranian tensions have been on the rise for years, Saudi Arabia’s execution of Sheikh Nimr al-Nimr in January—met with angry reactions in Iran—heightened the stakes so dramatically that there is now serious potential for direct confrontation. Emotions are running high, and even an accidental spark could turn the cold war between the two regional powers hot. Their antagonism is a grave threat to the wider region, which isn’t exactly a bastion of stability these days—and it’s contrary to the long-term interests of Saudi Arabia and Iran. The prince is right—an outright Saudi-Iranian conflict would quickly spiral into a region-wide conflagration with gravely destabilizing effects on the Middle East and beyond. Yet the provocative rhetoric and actions of leaders on both sides continue to fan the flames.